“To be born a slave is in fact not a fatality. And facts can be changed. 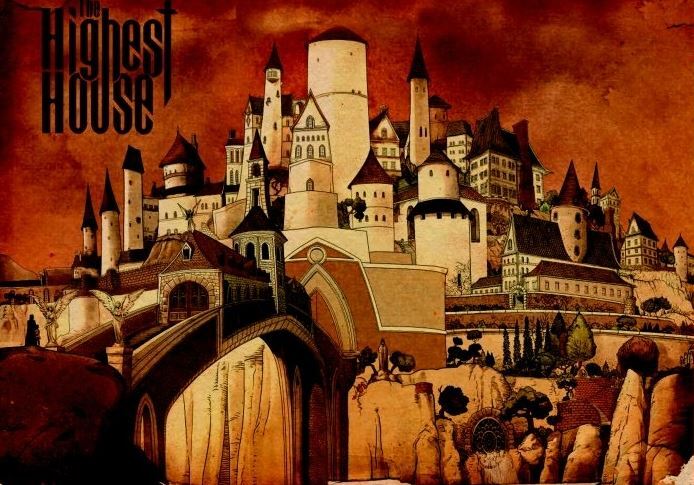 In the country of Ossaniul, there is a fortress that is as disproportionate as it is inaccessible: the Highest House. Its masters, the noble family of Aldercrest, reign over a veritable army of slaves. At the bottom of the ladder, young Moth performs the most thankless tasks and has little hope of living past childhood. Until the day he meets Obsidian, a mysterious prisoner of the House who whispers to him in his sleep. If Moth does what he asks, Obsidian will give him fortune and glory. And there’s every indication that Obsidian can make good on his promises. Will Moth accept the offer? Except… this is merely part one!! Well, that’s what the final page says… This was always billed as a six-issue series, collected here in an album-sized extravaganza, reuniting the creative team of Mike Carey and Peter Gross. 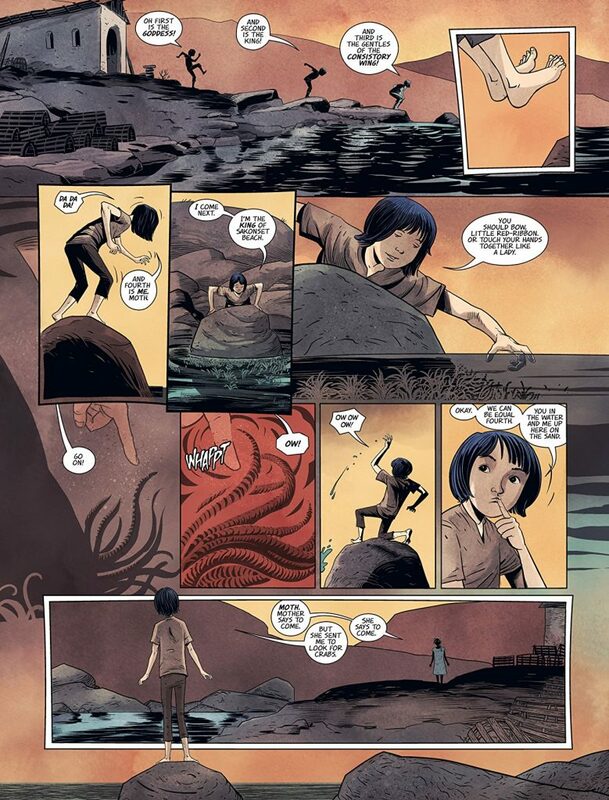 I must also mention cover artist Yuko Shimizu, who did all the fabulous covers for this work and also over 70 similarly amazing covers for THE UNWRITTEN. As a complete aside I have just learnt the mildly amazing fact that Shimizu’s roommate when she began graduate studies at the prestigious New York School of Visual Arts was a certain James Jean, who of course did one bazillion FABLES covers that were all collected in their own swanky FABLES: THE COMPLETE COVERS book! 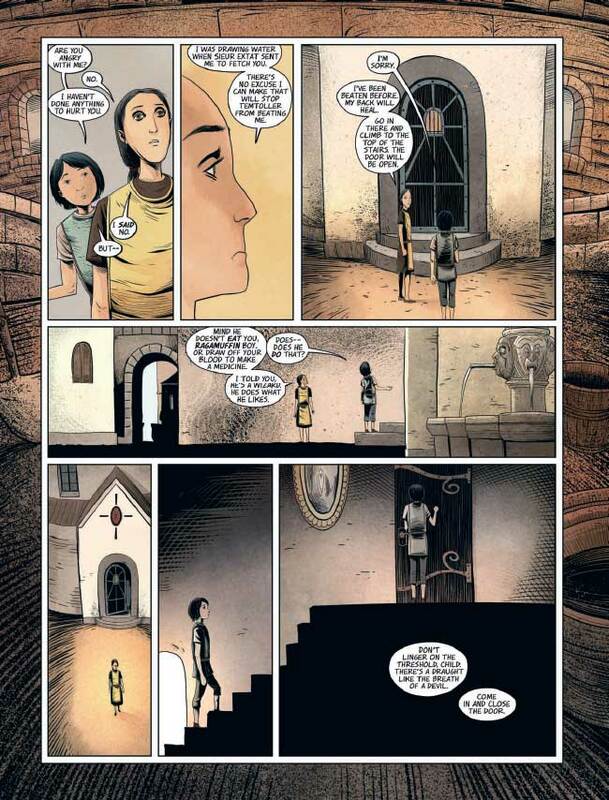 I really don’t want to give too much more away other than to say this is a very intricately and elaborately constructed story from Mike Carey, much like the House itself as rendered by Peter Gross, which is where my Baroque comment above comes from. 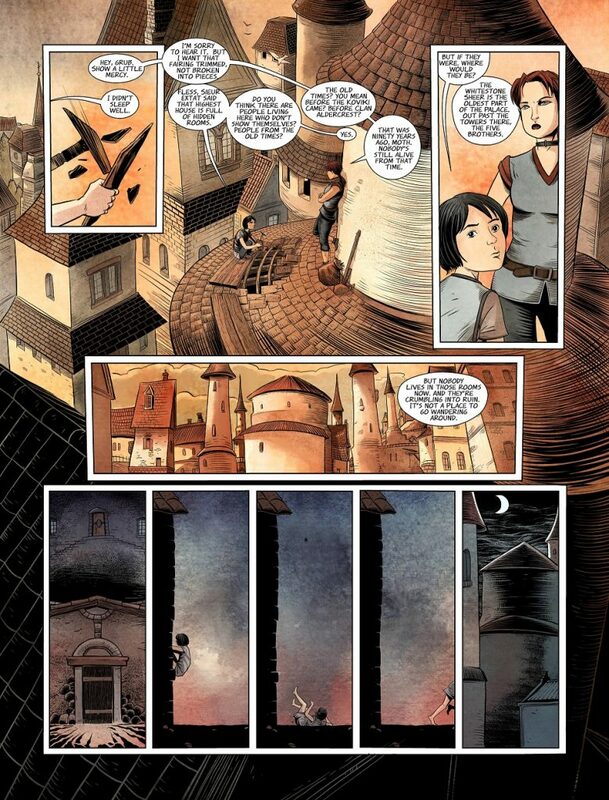 Very possibly the finest magical fantasy I have read this year (though clearly Tillie Walden’s ON A SUNBEAM trumps everything in pure fantasy terms). I seriously hope there is going to be a second volume. “I made him keep his distance. I made sure he felt my anger. “In return, I got a sword. “The space of my life had always been small. 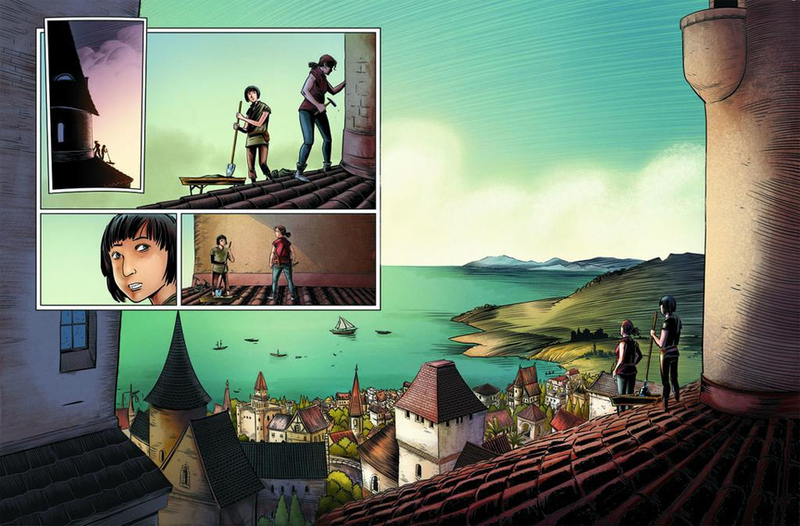 “From the minute my father’s eyes opened, he was looking beyond the horizon. 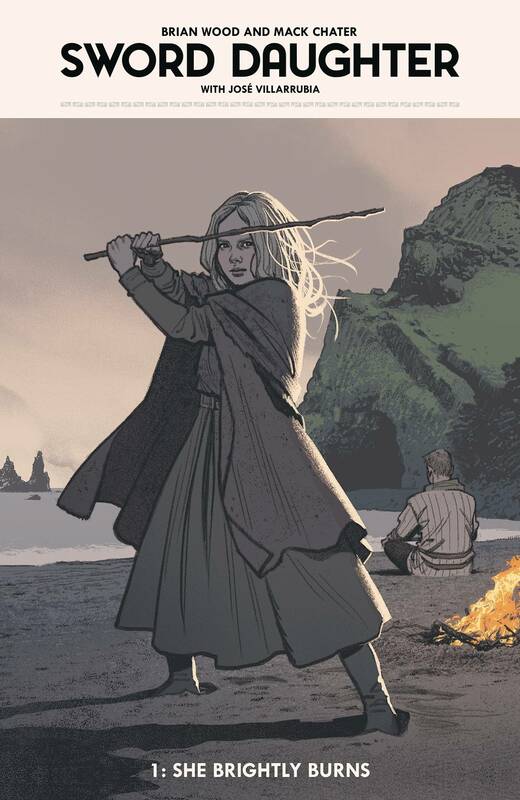 You could be forgiven for thinking that Brian Wood has a Viking fetish, what with the exceptional NORTHLANDERS series set across the entire Viking period, then BLACK ROAD telling the sorry tale of Magnus the Black and now this work. Actually, I think he may have a wider historical fiction writing fixation where there’s a clash or two involved, what with the superb alternate history ROME WEST and also the American Civil War rout that is REBELS. 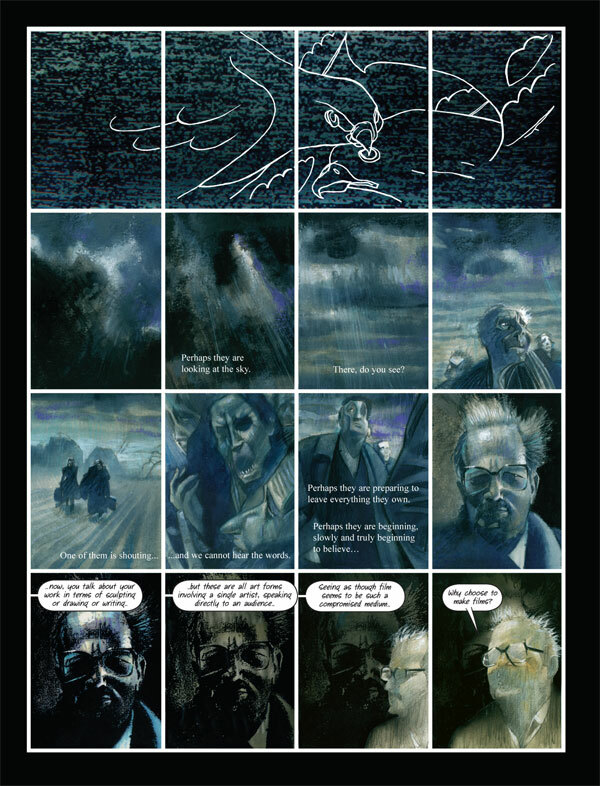 Mind you, he’s pretty good at contemporary conflict fiction too, what with DMZ and indeed current series BRIGGS LAND, which is also in conjunction with artist Mick Chater, who once more brings his trademark fine-lined, dare I say almost savagely sketchy style to bear here. He makes it look ridiculously easy, I’m a big fan. 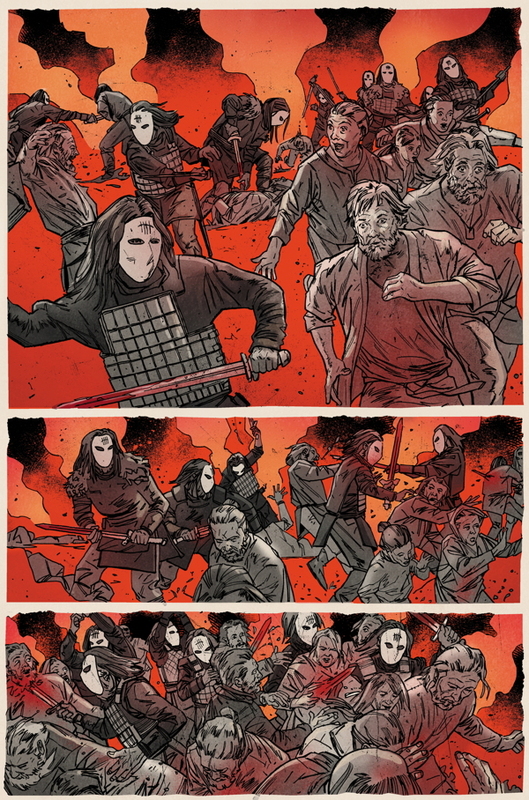 Can I also just make mention of the exceptional colouring too, applied by no less a legend than Jose Villarrubia, which really adds to the vivid brutality of this world. Expect slashing, much slashing actually, including some particular scenic slashing in the middle of what I am pretty sure is the Ring Of Brodgar stone circle in the Orkney Islands. 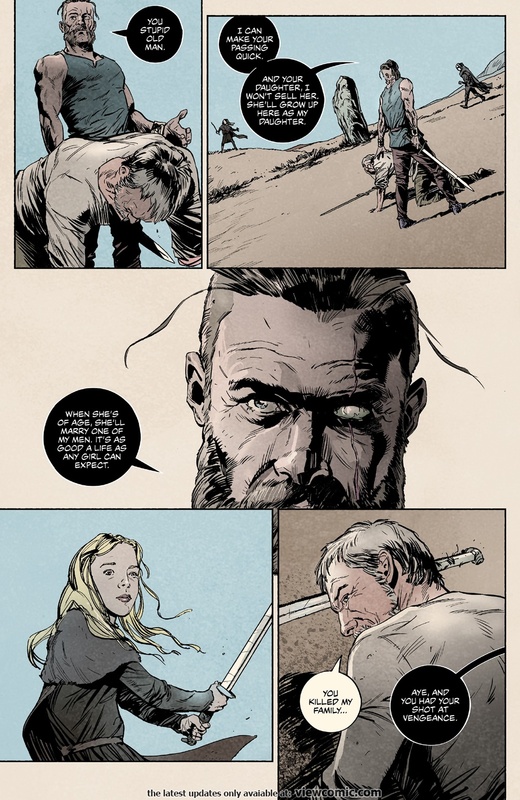 But also the gradual rediscovery of a father-daughter bond that has had to endure a decade of practically catatonic parental absence after the trauma inflicted by the Forty Swords. As virtual strangers, they are going to have to learn to first trust, and perhaps eventually love, one another, if they are to leave the tragedy of the past behind them. After a suitable sizeable amount of slashing, obviously. I suppose there are elements of / parallels with LONE WOLF & CUB here if you want to look for them, but this is a considerably more straightforward revenge slice-and-dicing, albeit with some substantial degree of heart as our duo gradually begin to establish an understanding. Well, I thought that, and then there was the twelve-year time jump right near the end (with some fairly gruesome slashing obv.) 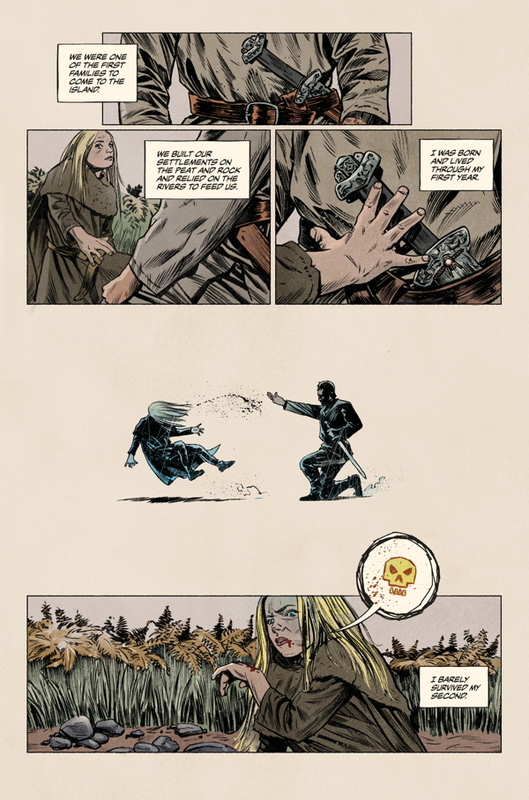 that shows there is going to be an unexpected disembowelling (sword-)twist or two to the tale yet… I should have known it wouldn’t be quite so simple! 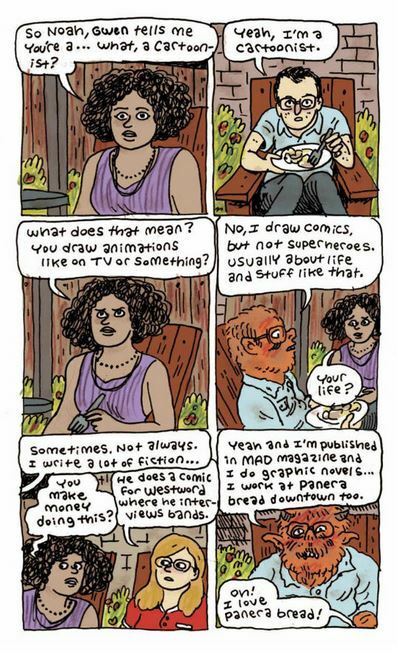 No, but they do have the undying love and profound respect of people from all walks of life the world over, most of which they will never meet, but all of whom are sincerely grateful that these unsung heroes make the sacrifices they do in order to make their comics for us. 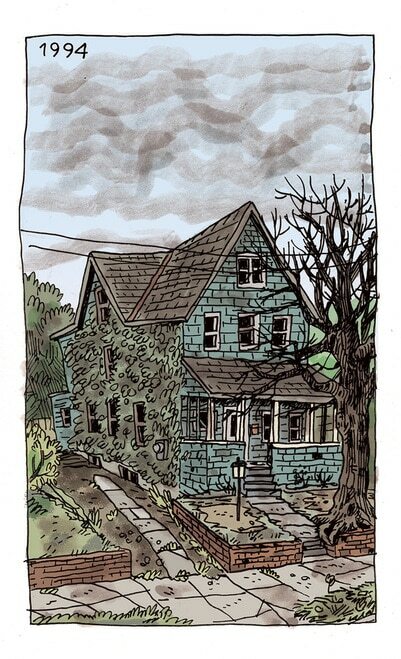 Bless you, Noah Van Sciver and all your comics colleagues past, present and future! Yes, the man with the self-professed fourth best moustache in comics is back in fine fettle, as is apparently the moustache judging from recent Facebook posts after a brief bare-lipped patch, regaling us with domestic horror stories from his youth, mixed in with more than a little modern-day maudlin regarding his romantic relationship with the <ahem> delightful Gwen and his car-crash of a career choice. 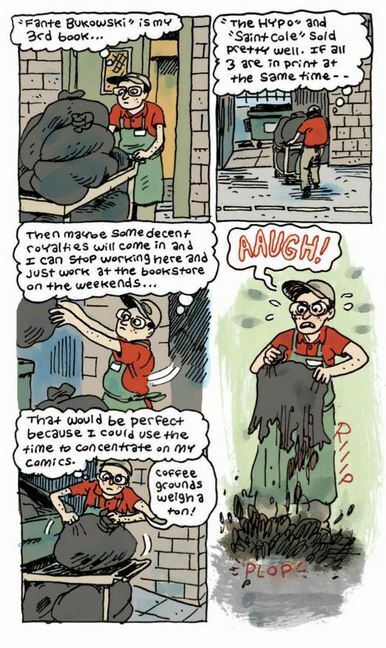 Still, it’s all grist for the comics’ mill! 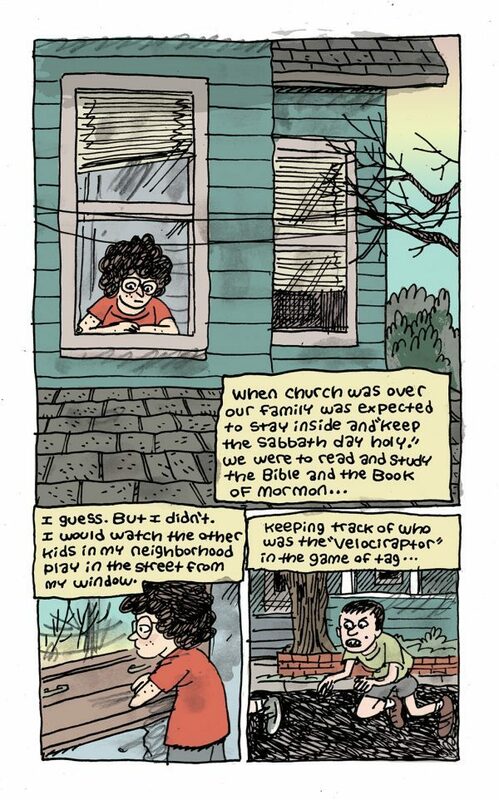 “In Noah Van Sciver’s new funny and heartfelt memoir, he is haunted by memories of growing up in a big, poor, Mormon family. 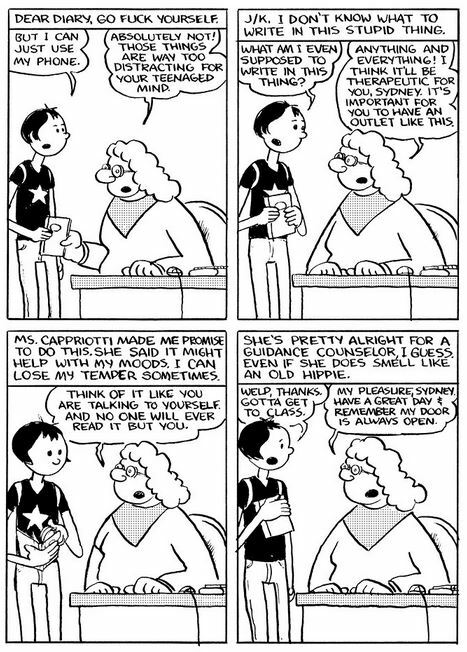 And his comics! Much like in detailing his very first dating disaster for us in MY HOT DATE, Noah lays his soul bare about his chaotic upbringing and its moderately challenging consequences for him as an adult. The fact that he manages to make it so wryly humorous for us is testament to his talent as a story-teller. Much like his hilariously mean FANTE BUKOWSKI material where the point is to provoke laughter at the poor protagonist, you may, if you’re a half-decent human being (heh heh), find yourself feeling more than a little unkind for chortling at Noah’s testing childhood circumstances and the situations he finds himself in. Well, getting himself into mostly, but you know what I mean. The skipping back and forth between the days of high-hair (what a bush he had! ), full of care-free skateboarding, plus clips round the ear from his older brothers with unfortunately also some right old beltings from his mentally melting-down dad… and the modern day somewhat wiser but riddled with self-doubts adult Noah are well-handled and combine very insightfully. 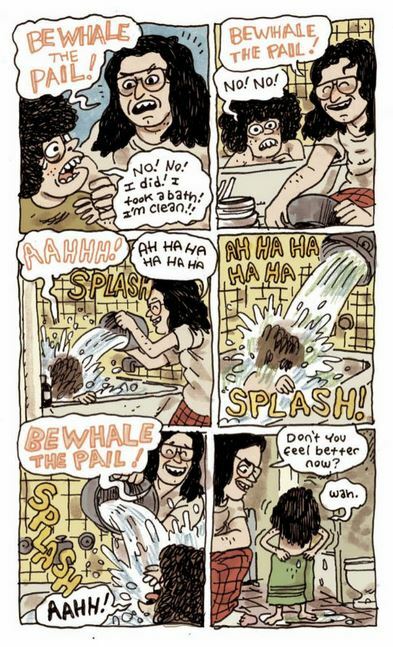 An autobiographical triumph! 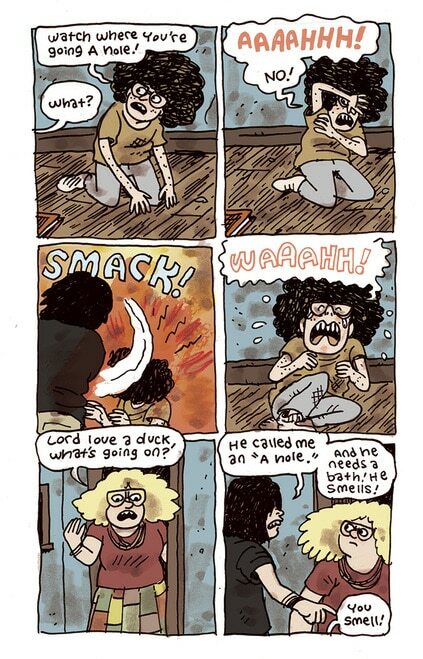 I personally believe Noah will come to be regarded as one of the 21st Century’s great North American ‘cartoonists’ and I for one will be able to say I was there laughing at him, I mean lauding him, right from the start! “Sydney seems like a normal, rudderless 15-year-old freshman. 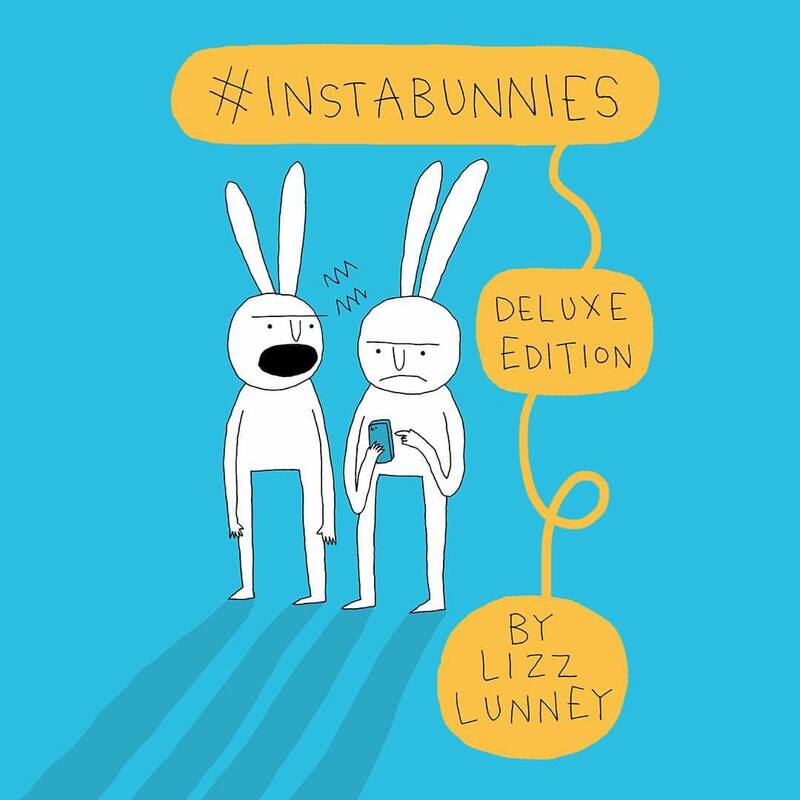 She hangs out underneath the bleachers, listens to music in her friend’s car, and gets into arguments with her annoying little brother – but she also has a few secrets she’s only shared in her diary. 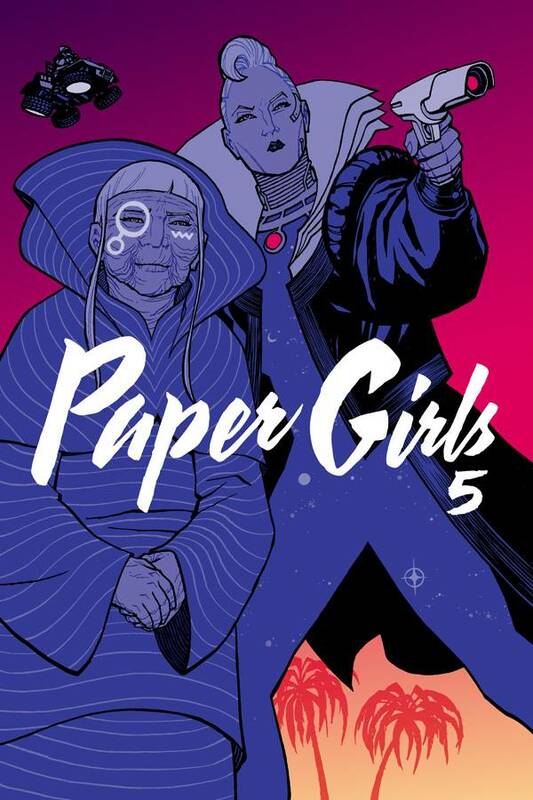 Like how she’s in love with her best friend Dina, the bizarre death of her war veteran father, and those painful telekinetic powers that keep popping up at the most inopportune times. 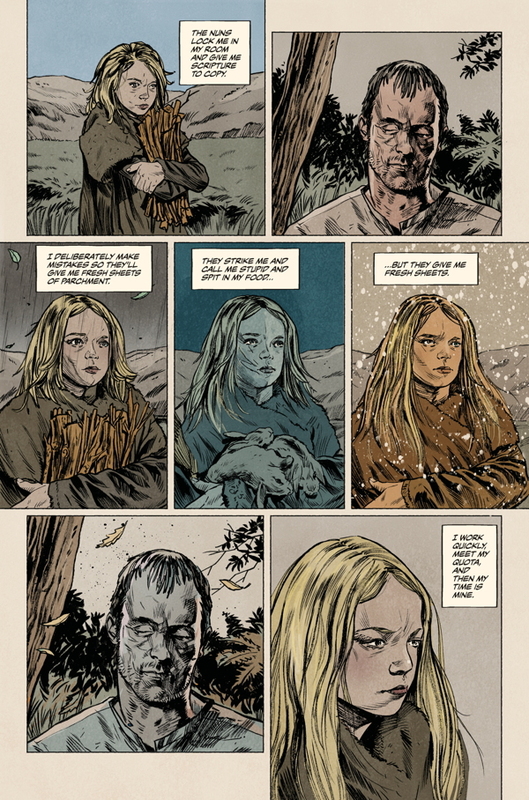 After his first two critically heralded graphic novels, CELEBRATED SUMMER and THE END OF THE F***ING WORLD, Forsman once again expertly channels the teenage ethos in a style that evokes classic comic strips while telling a powerful story about the intense, and sometimes violent, tug of war between trauma and control. 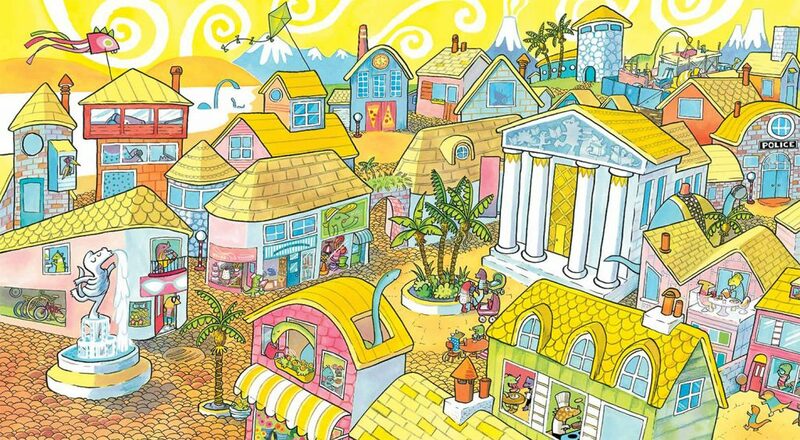 Yes, Sydney has a few issues, and indeed secrets too, for sure. Like those telekinetic powers she hasn’t got control of… Or her temper, which she isn’t remotely in control of, either. Now that’s a great combination right? Acting as our narrator whilst writing her private thoughts in a diary given to her by the student guidance counsellor, Ms. Capriotti, (to perhaps help her mitigate her self-confessed moods a little better) Sydney reveals all to us. Her story is indeed that of a typical angst-ridden teenager grappling with fairly normal adolescent problems, albeit with some collateral damage from the… loss… of her father. Yes, that certainly is a ‘bizarre death’. For such an in-your-face gritty story, there is a lot of surprisingly subtle and sophisticated story-telling going on here, particularly at the emotional level. 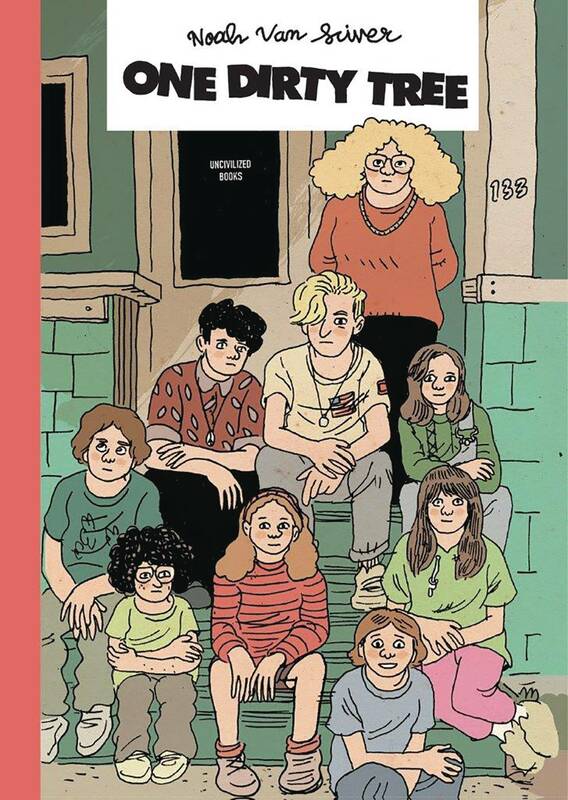 In that sense, Charles certainly tells a tale as powerfully as the likes of Daniel GHOST WORLD Clowes and Adrian SHORTCOMINGS Tomine. Artistically, I completely understand the ‘in a style that evokes classic comic strips’ quote, as to me Sydney definitely has more than a look of Popeye’s squeeze about her. There’s another point of classic reference too (at least), I think, but I can’t quite put my finger on it, annoyingly. 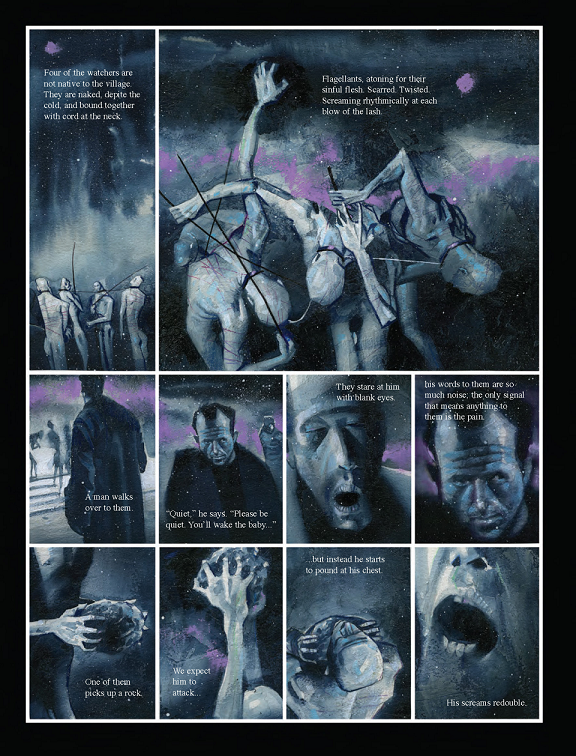 It actually took me a while to settle into reading this due to the art, as I found with both of his previous works. 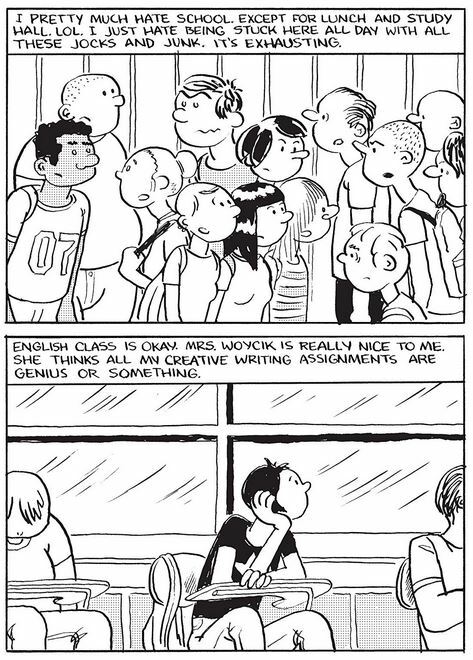 It’s possible that Charles’s choice of art style is the only real hurdle to him gaining a much wider readership as unlike Clowes and Tomine, he doesn’t necessarily deploy what could be described an immediately appealing style. But all power to him for that, though, he’s certainly clearly a highly talented creator who is obviously very happy creating his own corner of comicdom misery for his characters. 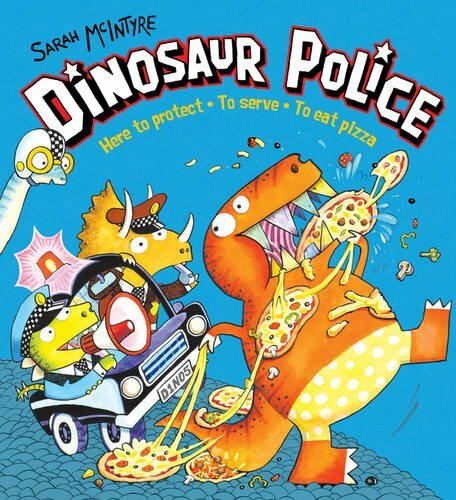 Dinosaur Police s/c (£6-99, Scholastic) by Sarah McIntyre. The pizza factory was a mess. Of course it’s Trevor! Of course it is! 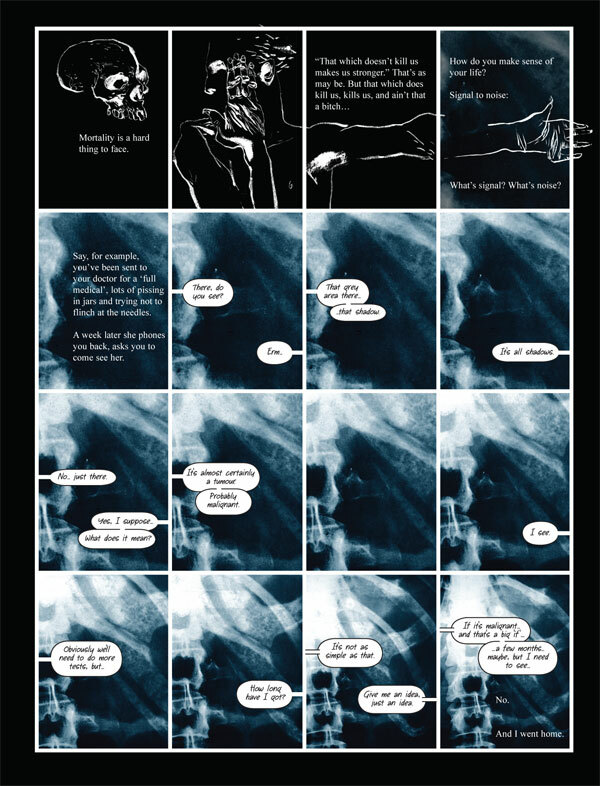 “The absurdity of that page is a scream. A) What does a T-Rex that large even want with a climbing frame? B) How did such an enormous beast get onto or even into the climbing frame in the first place, let alone then stuck in it and C) … AGAIN?!?!?!?! There, however, our Trevor was merely a memory-challenged moron. Here he goes full-on delinquent! 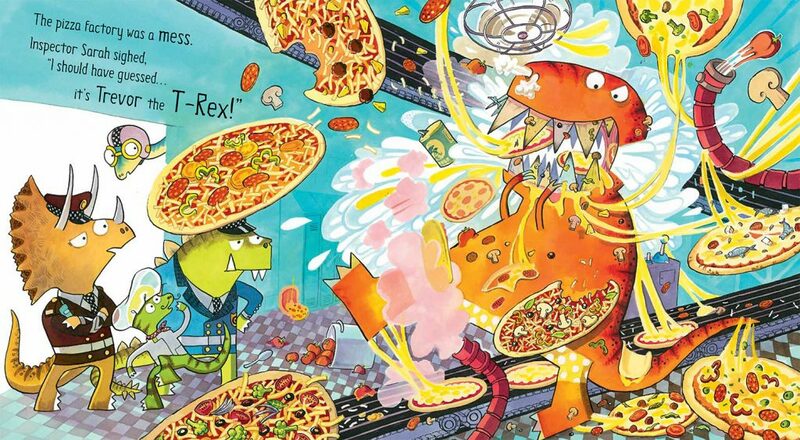 First in a pizza factory, gorging his fat face off on pizza (I love that Trevor’s face is 87.3% teeth, and that he’s managed to stuff at least two complete pizzas into his gaping gob; that really is the stringiest, gooiest cheese of all time, each loop leading your eye to Trevor), then on a sequential-art rampage through Dinoville, a town otherwise so quaint and quiet that its police precinct’s bulletin board has plenty of room for a missing cat poster! Yes, even Dinosaurs have cats for pets. And cats will always stray and get themselves stuck up trees, as we discovered in DINOSAUR FIREFIGHTERS. I also note by scanning the background that Dino-cops have as much of a penchant for doughnuts as their human counterparts. Dinosaurs, of course, come in all shapes and sizes. 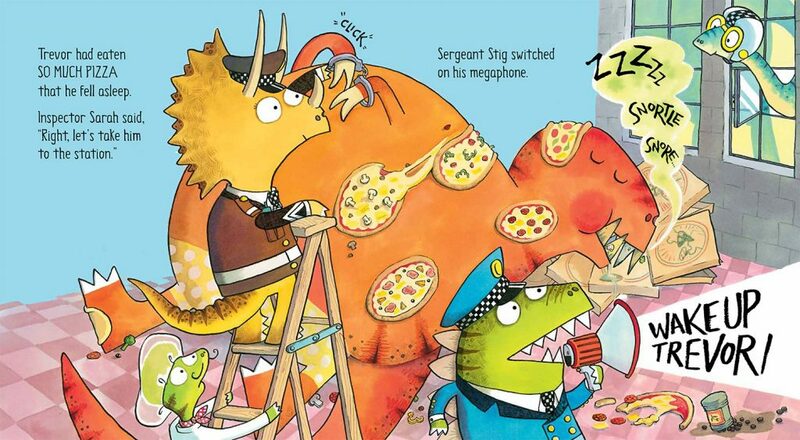 Sergeant Stig O’Saurus (originally of Irish stock) and Inspector Sarah Tops (snort!) fit nicely into their uniforms, colour-coded to denote rank but mostly to complement their hides’ hues, I think. Officer Brachio, however, is of a decidedly bigger build and therefore can’t fit into the police car let alone a standard uniform, so he has his own flashing light for emergencies just like this. 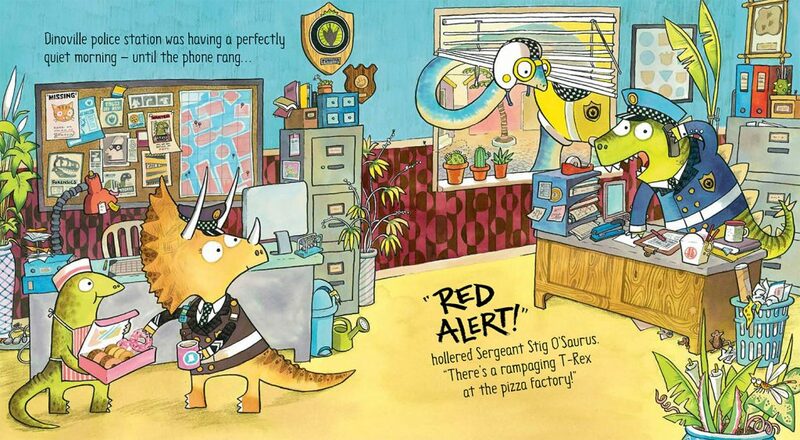 “Sergeant Stig O’Saurus and Inspector Sarah Tops were on their way faster than you can say “WOO WOO”. Officer Brachio bellows “WOO WOO!” anyway. Because, hey, every officer needs a siren! A late addition to our phenomenally popular Page 45 Philip Reeve and Sarah McIntyre Section because you really did demand it, this is yet another beauty for youngsters’ shiny wide eyes to wander around, spotting background details like the multiple narratives going on all about town in the pre-title double-page spread which they can fill in for themselves with their wild imaginations. Once more the delightful absurdities had me howling. Last time it was Trevor’s climbing frame fiasco; here it’s Inspector Sarah Tops diligently doing her duty… by handcuffing Trevor. 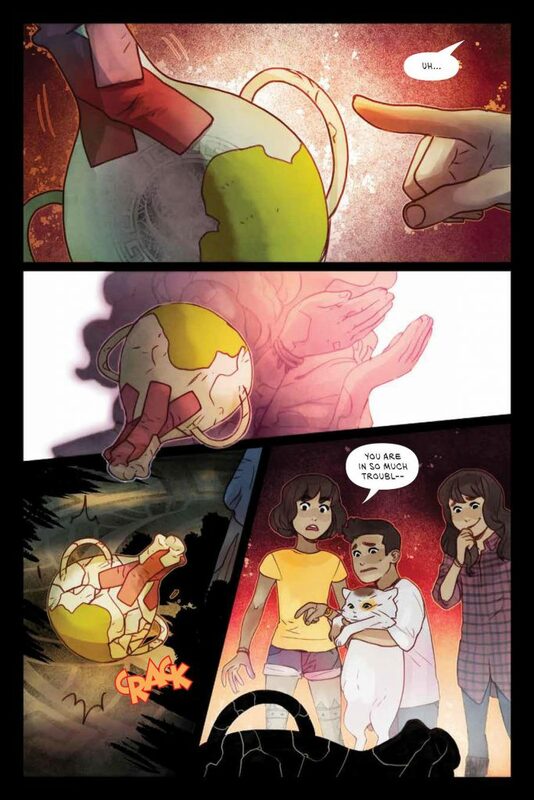 Because you wouldn’t want to actually immobilize a T-Rex, would you? Or secure that massively muscled mouth with its fulsome array of gigantic gnashers!!! No, what you really need to do is deal with those functionally useless forelimbs! I’m still chuckling several hours later. Deliciously coloured with enormous warmth, I’m now going to call Pizza Italia, and I will have pineapple on my pizza, so there! 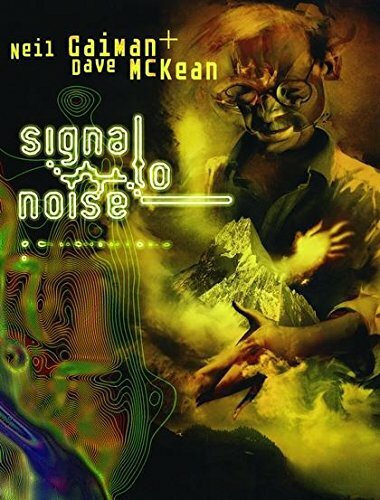 Signal To Noise (£12-99, Bloomsbury) by Neil Gaiman & Dave McKean. Originally serialised in ‘The Face’ magazine of all places during the late 1980s, this is another of those dark and personal tales (see THE COMICAL TRAGEDY OR TRAGICAL COMEDY OF MR. PUNCH – now that is one in-depth review!) 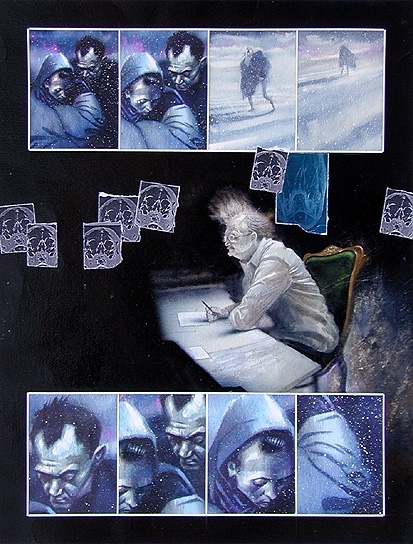 at a time when McKean was still using some of the BLACK ORCHID techniques, but had really begun to experiment with expressionism along the Francis Bacon / Baron Storey/ Bill Sienkiewicz lines with distorted body work, and four truly terrifying Horsemen Of The Apocalypse rendered in four very different styles. I’ve used the term repeatedly to denote the current condition of multi-channel broadcasting (and now social media) and the even wider modern competition for our attention and assault on our senses, for, if one fails to erect adequate mental filters, the signals swiftly turn into noise. 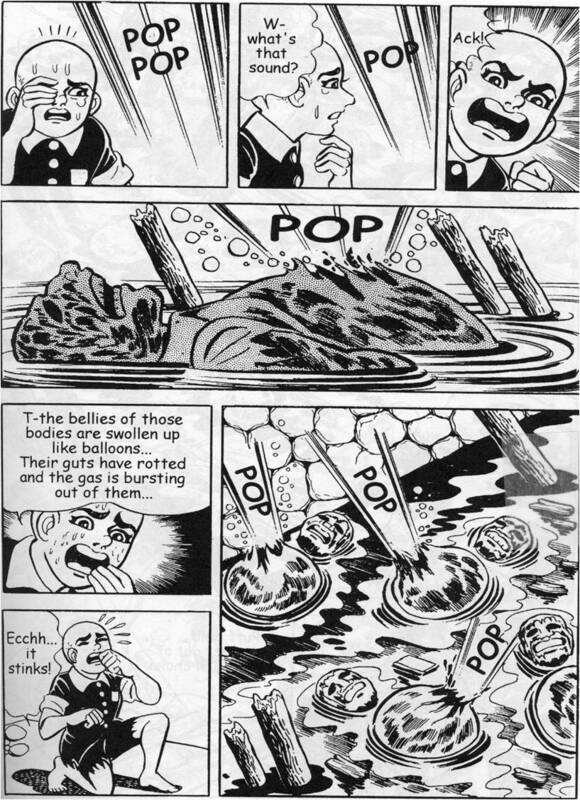 Barefoot Gen vol 1 (£13-99, Last Gasp) by Keiji Nakazawa. 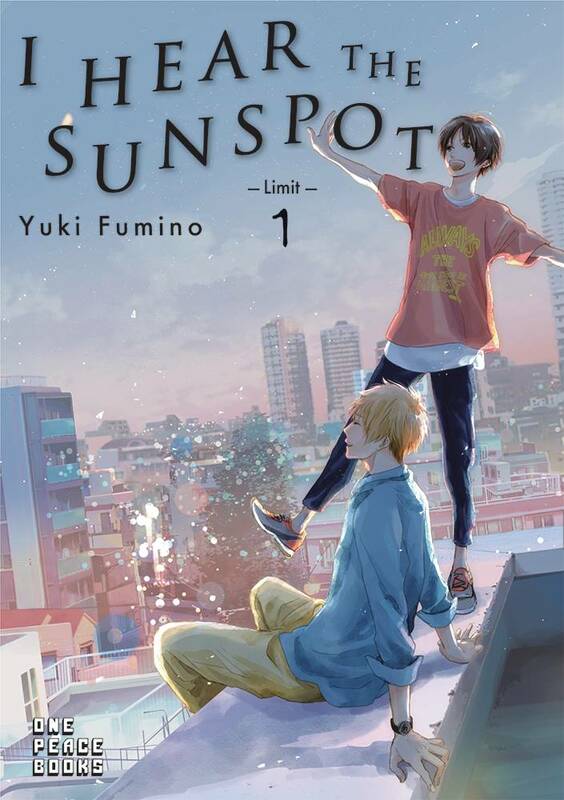 A true manga classic, finally re-emerging into print. 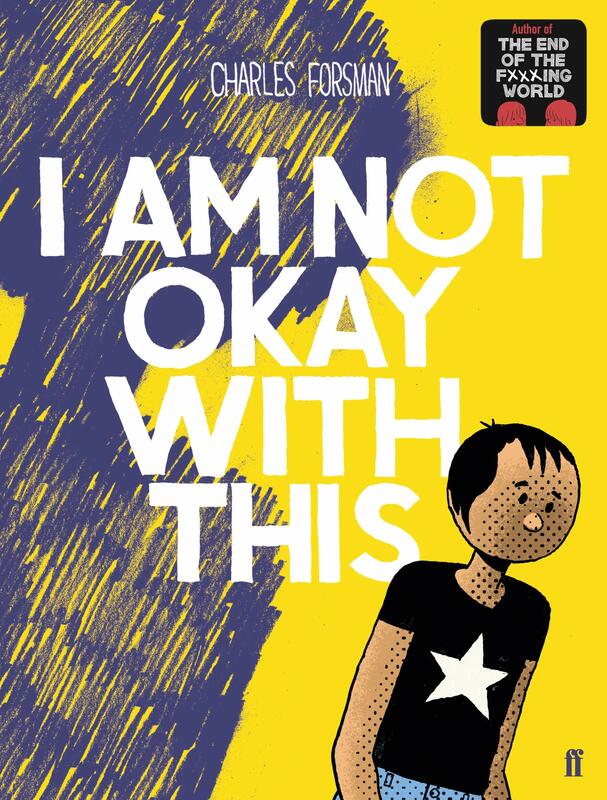 First of ten books in which young Gen has to grow up very fast indeed, and everyone is dripping in sweat which doubles as comicbook shorthand for extreme anxiety or the level of hysteria generated when your experiences are no longer comprehensible or compatible with any sane response. 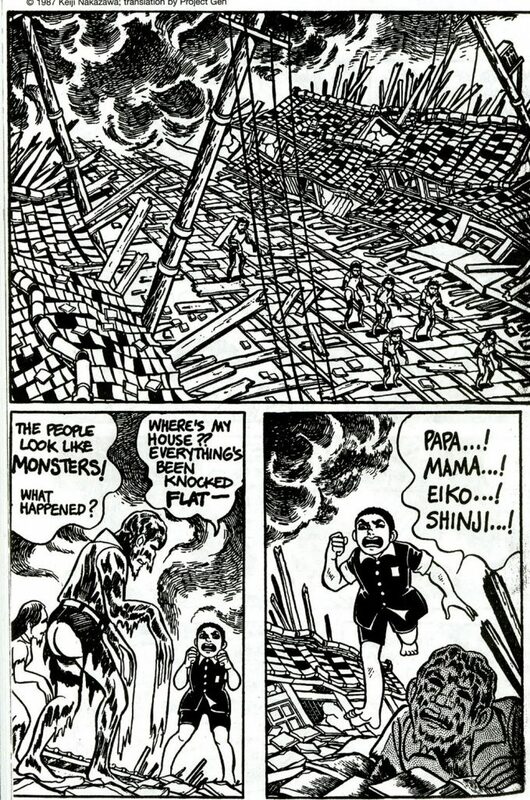 Intense doesn’t even begin describe this, plus you can also see so much of Tezuka in here. It’s a long, long, long time since I read this, but I recall that much later volumes finally see him taken under the wing of a kindly artist, start to express himself and then find love, but the effects of the bomb are never far off, nor other hard realities like the corrosive effects of drug addiction, and the arms industry given a business boost by Korean War. It’s all based to some extent or another on personal experience, and Nakazawa gave an eye-opening interview to THE COMICS JOURNAL in which he talks in detail about his family, the day the bomb dropped, and the deafening silence in Tokyo afterwards about the Atomic bomb whose radiation was rumoured to be contagious. 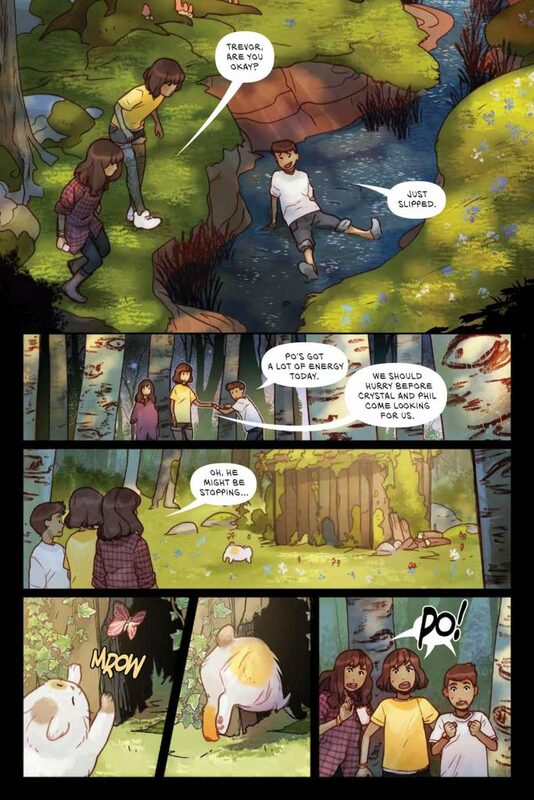 As magical monsters pour out of the fractured relic and run amok, Charlie, Janet, and Trevor must find a way to capture all of the creatures in order to save their family and potentially the entire world before it is too late. 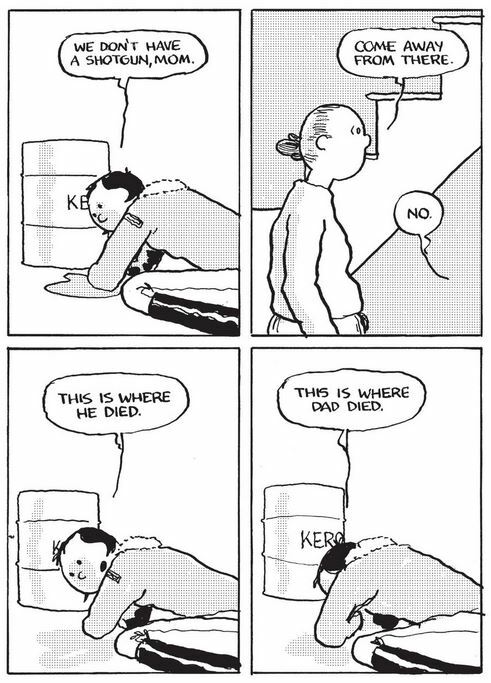 Even after the first couple of pages I felt like I had missed a chapter or so of lead in. It is relatively slim in terms of page count, so perhaps it needed an editor stepping in early on in the process to just slow it all down a little bit and suggest inserting a few additional scenes. 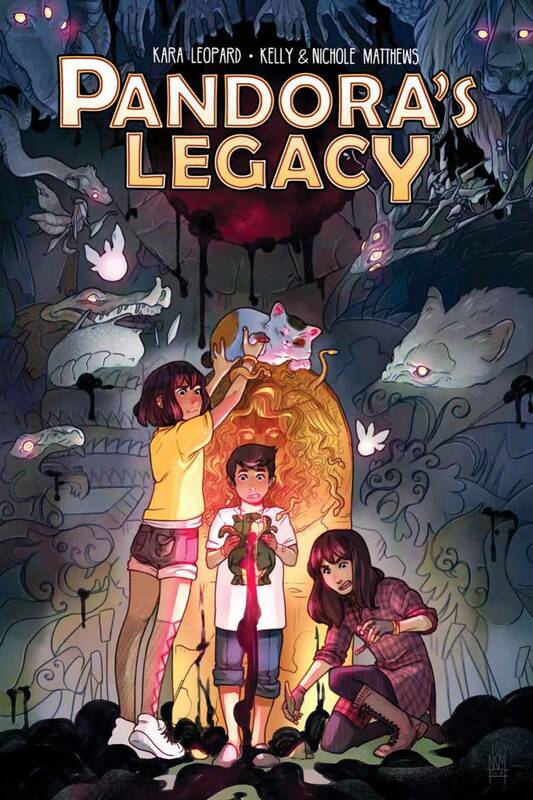 It’s a relatively small complaint, but one that I feel does stop this being on a par with the likes of NAMELESS CITY, LUMBERJANES and AMULET. 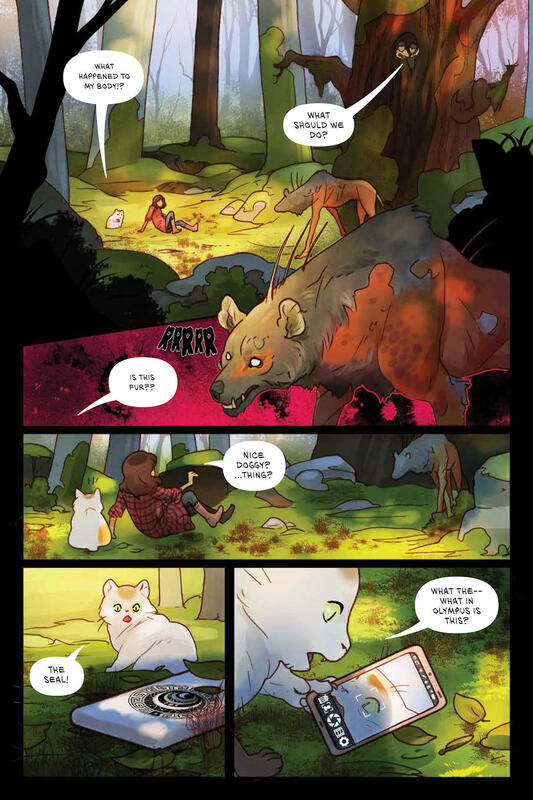 Gorgeous art though, and a very cute talking cat! And that’s no lie! This entry was posted on Wednesday, December 5th, 2018 at 3:30 pm	and is filed under Reviews. You can follow any responses to this entry through the RSS 2.0 feed. You can leave a response, or trackback from your own site.